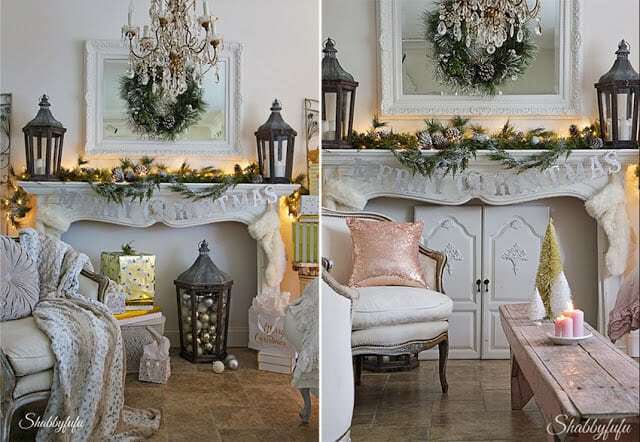 Best Christmas accent colors…what are they for you? 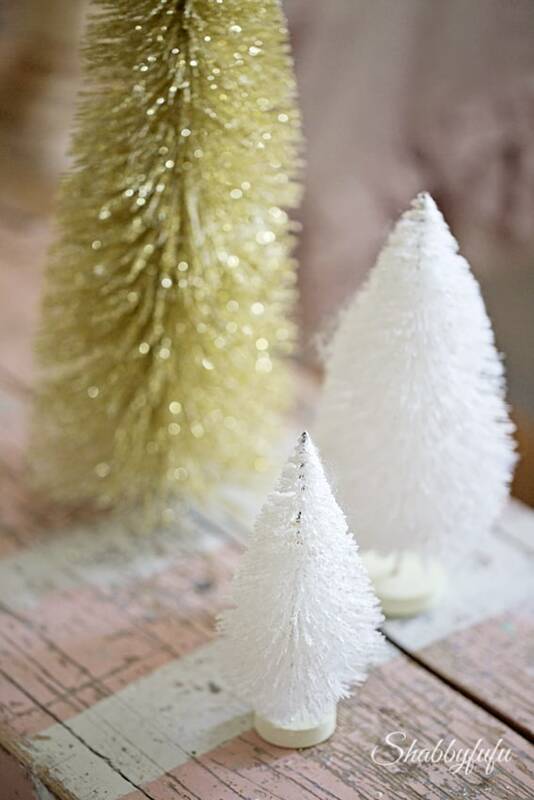 In this post I’m talking about some easy ways to change your Christmas decor by using YOUR favorite accent colors. 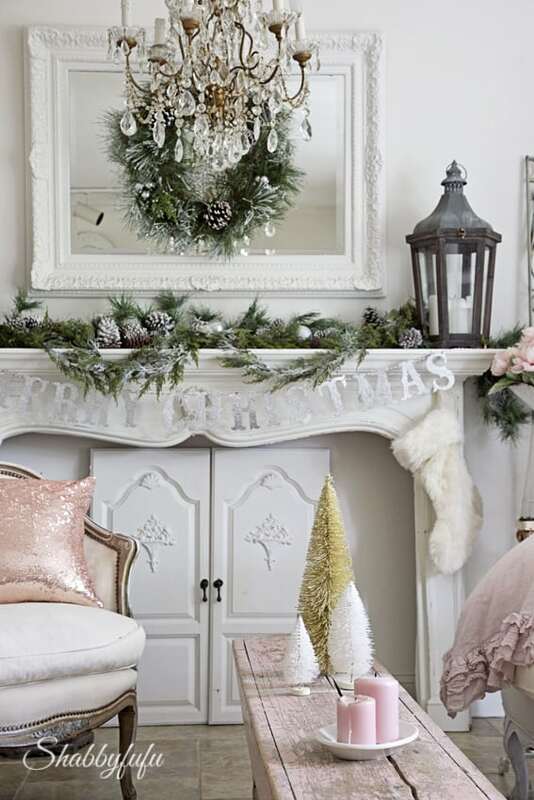 I’ve gone from a white Christmas to a pink Christmas just by swapping out a few key pieces and show you how to do this too! Wait a minute…did she do something different in this room? Why yes I did and I kid you not that it took literally 15 minutes of my time. Taking photos and writing this post took way longer, and today I’m sharing what I did in a side by side comparison and tips…side by side, although taken weeks apart and the angles are different with where I was. Sort of a before and after of my own best Christmas accent colors. On the left you can see lots of packages and they have been removed and placed in the family room where we have another tree. We have several trees here this year and the family room I don’t normally share as per my family requests. I replaced the pillows and throws and that is one of my favorite ways to restyle a room quickly! Some pillows from the master bedroom were switched out to add a pop of pink. 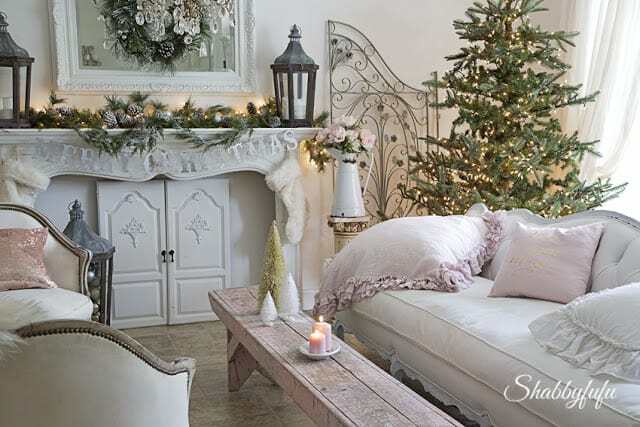 The smaller pink pillows I purchased at H & M Home and the larger pink pillow is from Rachel Ashwell Shabby Chic Couture. I’ve had the sheepskin for several years now and would you believe that it came from…ahem…Walmart?! I’m a super careful shopper and thrifty, so I wait for sales. You CAN have an elegant look if you do that and collect what you want slowly! 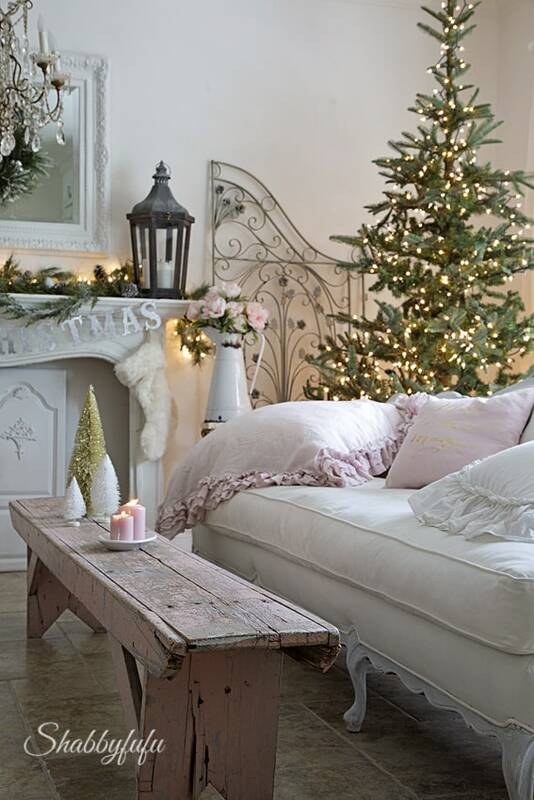 The pink bench is one of my favorite pieces that I don’t think I will ever tire of and it’s from a friend. I move that thing all over the house and it’s been in every room that it fits in at one time or another! Underneath the mantel (which is non~working…hello, I live in Miami!) are a pair of cabinet doors that I embellished with appliques years ago. The cabinet housed a television in our bedroom and we never watched it, so the cabinet was donated but I kept the doors. They add an interesting layer without being too wild. 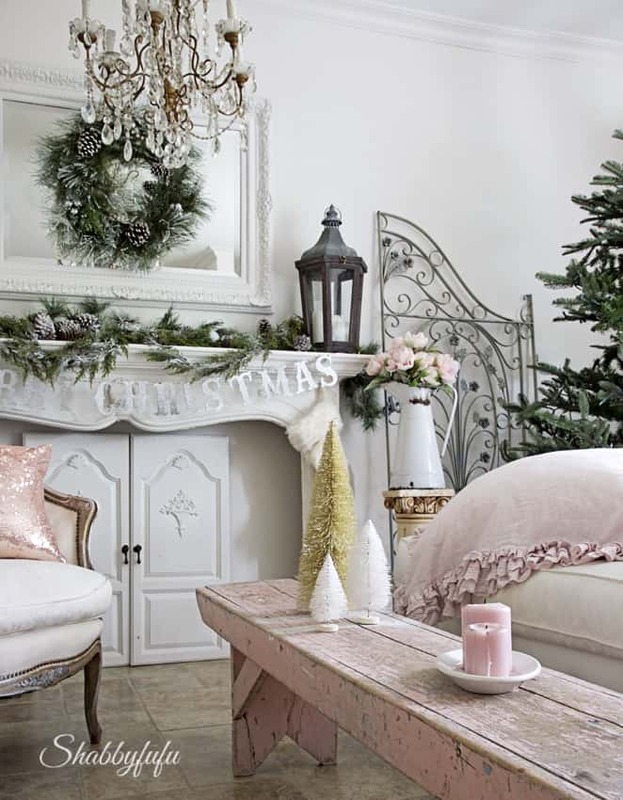 A few bottle brush trees, pink candles and pink peonies are all subtle touches that reflect what I think are the best Christmas accent colors. It’s what I love and may not be for everyone, but you can add a few accents in your favorite colors this same way. I can’t believe how quickly this year has flown by and with the holidays approaching! I’m going to slow down on design posts and perhaps share a couple recipes or entertaining tips that I enjoy, and take some time off as well. Noël est largement à l'honneur. Des photos superbes qui incitent la rêverie et la féerie. You do a beautiful job. 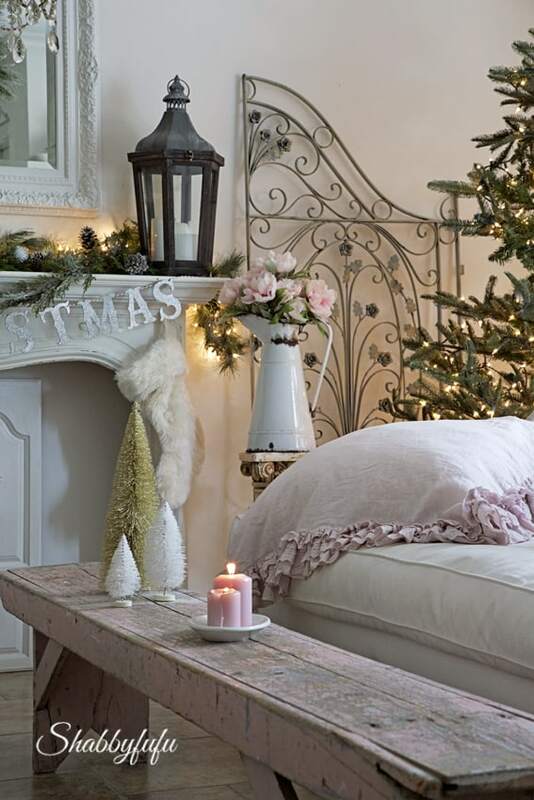 I only wish (for Christmas and beyond) that my husband wouldn't put down all my ideas and "take over" whatever I do want to incorporate in the house. 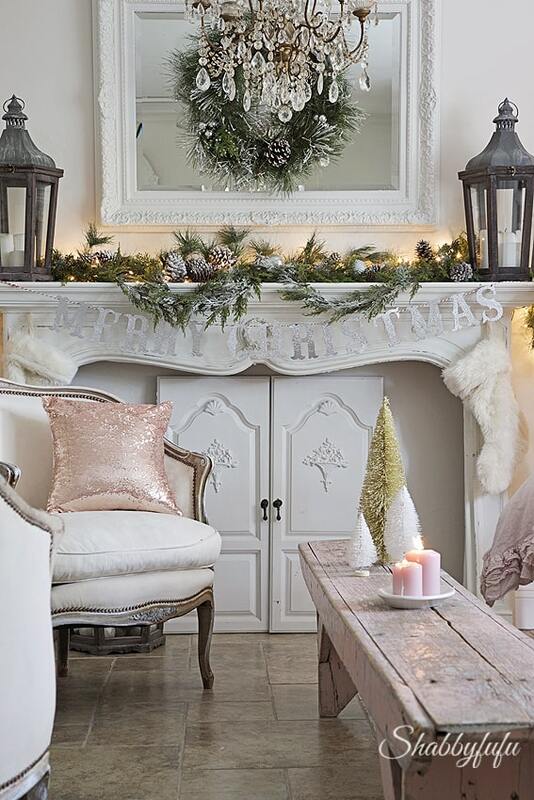 Thank you for sharing your pretty decorating genius. Hi Janet! I'm always inspired by your gorgeous photography and I'm in love with your pink pillow. Hope you have a Merry Christmas and a little time off. Une très belle ambiance de fête ..
Sigh…only in my dreams. Absolutely beautiful.